No-one outshines Canadian mystery writers! They are among the bestselling authors and the most widely read. Here is a selection of my favourites. 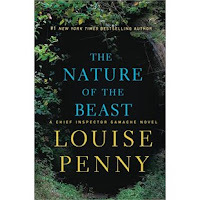 Louise Penny – A former CBC broadcaster, Penny left her radio career to take up mystery writing full-time and she hasn’t looked back since. She is the author of the Chief Inspector Gamache series. Penny and her husband and pets live in a small village south of Montreal, quite close to the American border. Her village sounds remarkably like the Three Pines of her popular mystery novels but without the high crime rate in the fictional village. I love her books because of the richness of the characters and the wonderful sense of place she evokes. Her latest is The Nature of the Beast and it finds Gamache working to solve the apparent accidental death of a young boy in Three Pines. 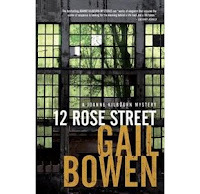 Gail Bowen – I was introduced to Gail Bowen’s books while our family was living on the Prairies and I have been a huge fan ever since. I don’t think anyone brings the beauty of the Canadian Prairies, its politics and its challenges to life better than Bowen. Joanne Kilbourn is the crime solver in this mystery series and it is wonderfully refreshing to find a female protagonist who has aged gracefully and actively into her 50’s. P.D. James once advised Gail Bowen not to allow Joanne to age but to keep her younger in her books. Bowen disregarded the advice from the great British crime writer and her series has continued to thrive. Her latest book in this series is 12 Rose Street and finds Joanne once again involved in local politics. Anne Emery – I first met Anne at an author reading at Keshen Goodman Public Library and her enthusiasm for her work, her love of music, and her multi-faceted characters drew me into the Halifax stories of Monty Collins and Father Brennan Burke. Their unusual but long standing friendship makes every book in the series well worth the read. It’s also great to read along and identify local landmarks and events with someone who writes passionately and beautifully about life on the East Coast. 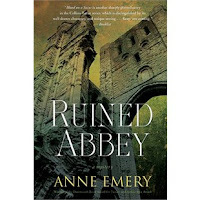 Her latest book in this series is Ruined Abbey and it is a prequel to the popular Collins-Burke series. "In this prequel to the Collins-Burke series, Father Brennan Burke is home in New York when news of his sister's arrest in London sends him flying across the ocean. The family troubles deepen when Brennan's cousin Conn is charged with the murder of a Special Branch detective and suspected in a terrorist plot against Westminster Abbey. The Burkes come under surveillance by the murdered cop's partner and are caught in a tangle of buried family memories."--bookmanager.com. 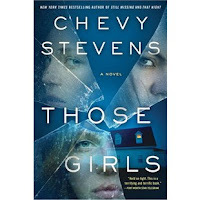 Chevy Stevens – I was first introduced to this British Columbia writer by Shelagh Rogers on an episode of “The Next Chapter” on CBC radio. I have been hooked ever since. She is now on her 5th thriller/mystery novel and as far as I’m concerned she just keeps getting better. Her novels are all stand alone and the only recurring character is a psychiatrist. This makes it easy to pick up any one of her books and start reading. For anyone who enjoyed Emma Donoghue’s Room, Chevy Stevens first book Still Missing is a great read-alike. Her latest is Those Girls and it’s a stay up until you finish page turner. 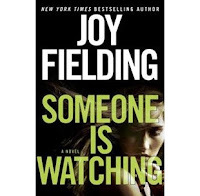 Although neither of these authors was born in Canada, we’ve happily adopted Joy Fielding and Kathy Reichs as our own. Fielding is a Canadian citizen and a longtime resident of Toronto. Her latest book Someone is Watching kept me up and creeped me out. The perfect combination! "After a brutal attack Jade can't shake off the feeling that someone is watching her, monitoring her every move. Even after her half-sister, Claire, and Claire's sassy teenage daughter, Jade, move into her apartment to care for her, their presence does little to ease her overwhelming anxiety. She begins spying on her neighbours through high-powered binoculars, becoming obsessed with the new tenants in the building across from hers. But the strange things she sees only deepen her fears."--bookmanager.com. 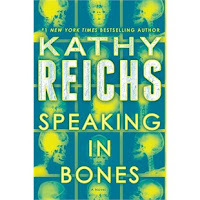 Kathy Reichs is an American whose popular Temperance Brennan series goes back and forth between the United States, usually North Carolina, and Montreal. Reichs does work in Quebec as well as in the U.S. so we’ve happily claimed her as one of our own. The television series “Bones” is based on the novels with some notable changes. Her latest novel in the series is Speaking in Bones and it begins in North Carolina with the promise of Montreal visits. Stayed tuned for Part II of my list of Canada's best crime writers!